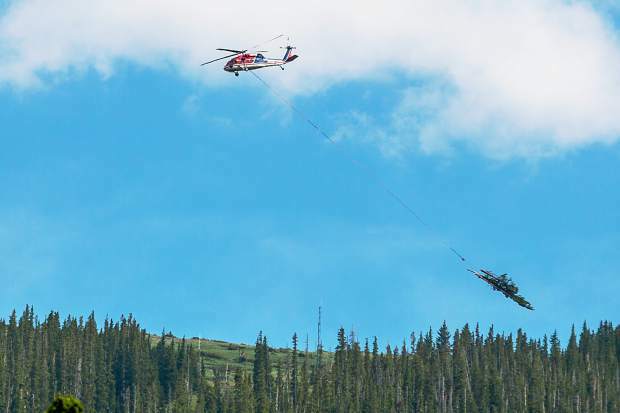 A helicopter removes trees from the new High Alpine lift line on Snowmass Mountain Tuesday afternoon. The Forest Service approved the lift replacement and realignment project in April. The $8 million high-speed quad will reduce the ride time from 11 minutes to 5.6 minutes.